As I mentioned last week, I am starting to get holiday shopping on the brain. And, somehow, I always have trouble shopping for friends and female family members about my age . . . you don't want to get something too expensive or something they already have . . . but you also want to find something cool and (ideally) useful. This is where I turn to Etsy and check out my endless lists of favorite products and shops. 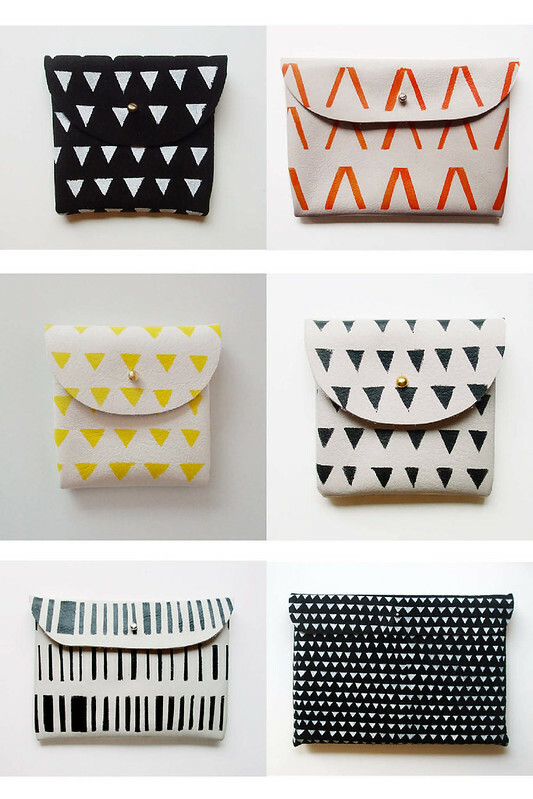 Enter: BlackbirdAndTheOwl's beautiful handmade and hand-painted clutches. I love the pennant and stripe patterns and am happy to report that some of the smaller purses start at just $19. Yes! Check out more fun stuff in the shop here.